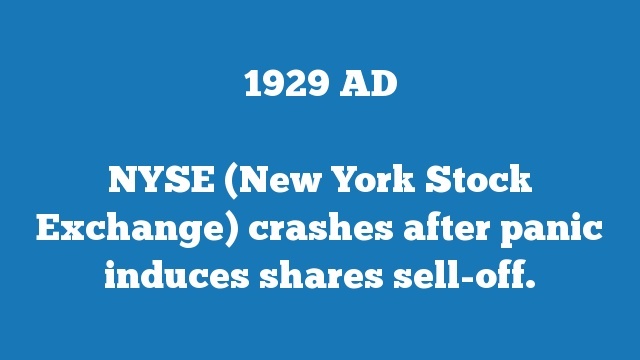 NYSE (New York Stock Exchange) crashes after panic induces shares sell-off. 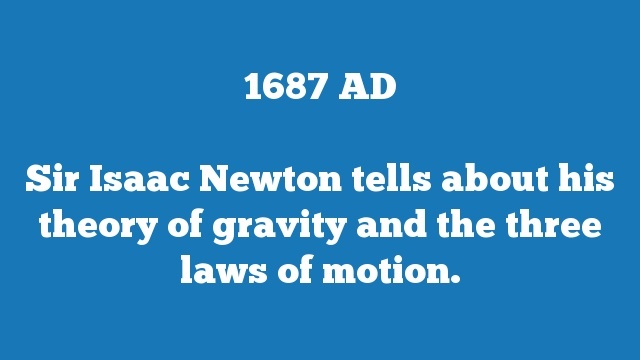 Sir Isaac Newton tells about his theory of gravity and the three laws of motion. 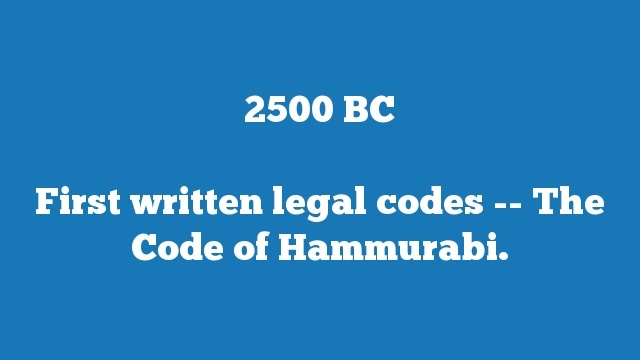 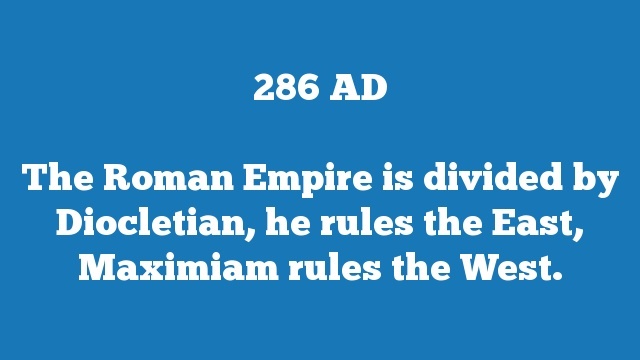 The Roman Empire is divided by Diocletian, he rules the East, Maximiam rules the West. 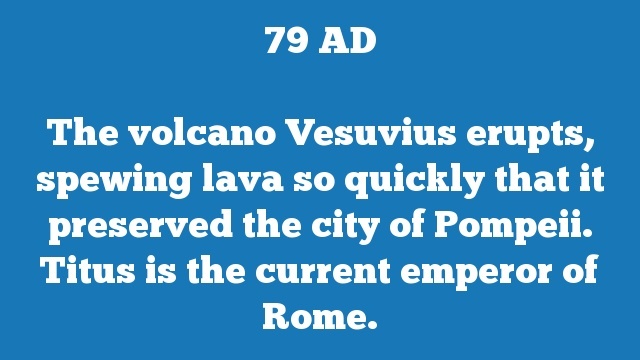 The volcano Vesuvius erupts, spewing lava so quickly that it preserved the city of Pompeii. 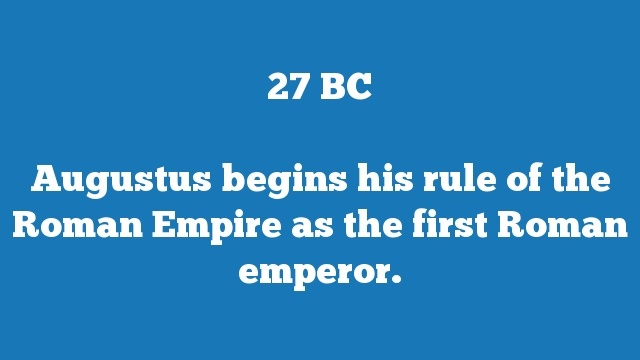 Titus is the current emperor of Rome. 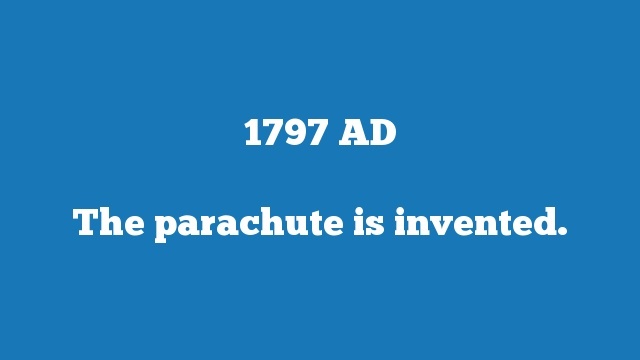 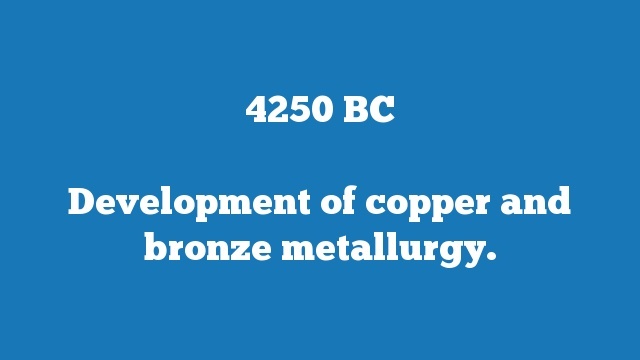 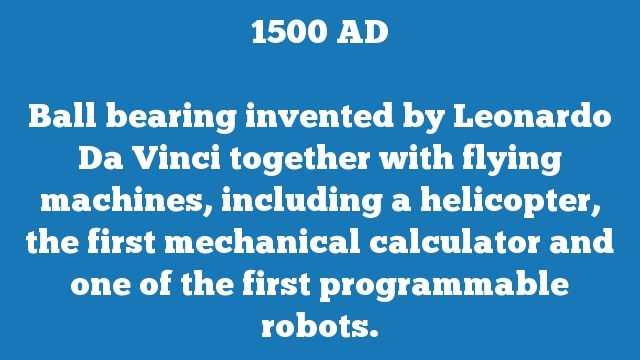 Ball bearing invented by Leonardo Da Vinci together with flying machines, including a helicopter, the first mechanical calculator and one of the first programmable robots. 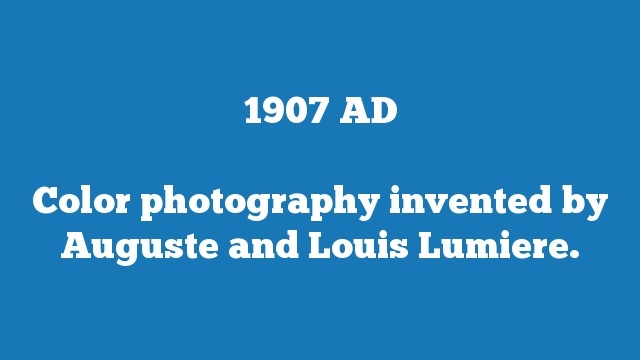 Color photography invented by Auguste and Louis Lumiere. 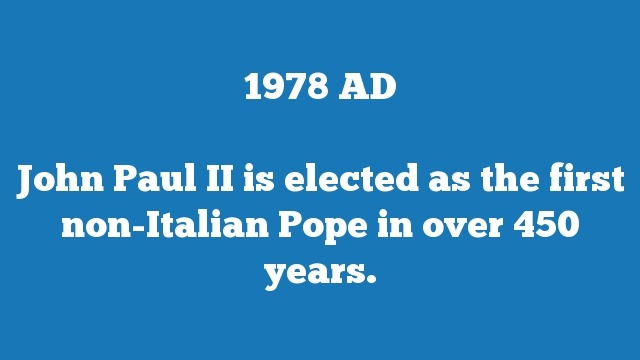 John Paul II is elected as the first non-Italian Pope in over 450 years.